OUT OF GRACES, I BECAME BLESSED. Paul Hoppensteadt, son of Mr. and Mrs. George Hoppensteadt, died, yesterday, at 1:15 o’clock, p.m., at his parents’ home, of pneumonia, after an illness of but four days. 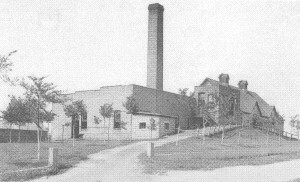 The young man had just recently assumed the position at Momence, of distributing milk for the Beecher Creamery, being transferred from the Chicago Heights plant. On Sunday he was taken sick with the “flu” and came home. After his arrival here he was taken with a violent fever, which seemed almost impossible to subdue. This was followed with pneumonia, from which he was unable to survive. Yesterday morning he was reported as improving, but he took a sudden change for the worse and the end came shortly after the noon hour. The funeral will be held at the house at 1 o’clock, Saturday afternoon. No church service. impossible to subdue it. 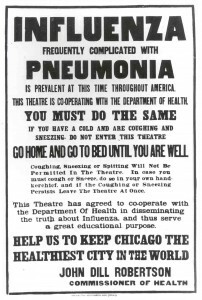 Pneumonia soon developed and from the start it became apparent that there was little hope for his recovery. Under the doctor’s care everything possible was done for him, but his condition constantly grew worse until Wednesday morning when the fever let up and it seemed as though he was slightly better. However, at noon a change came, and shortly after 1 o’clock he quietly passed away. 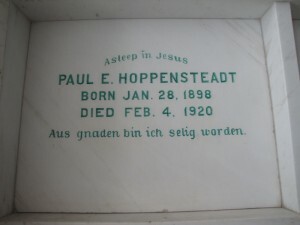 Paul Edward Hoppensteadt was born near Eagle Lake on the 29th of January 1898. He was baptized in the Lutheran church at that place in his early infancy. He attended the parochial school for six years, and on April 30th, 1911, after careful instruction in catechism, he was confirmed with his class. There also he attended church with the family until four years ago, when they moved to Beecher. Since that time he had been a member of Zion Church of this place. He was a quiet and earnest disposition and cared little for the pleasures of this world. Death did not take him unawares. As soon as he took sick he seemed to realize that his days were numbered and he thought only of his immortal soul. His favorite hymn, which he oft repeated and even sang on his deathbed was: “For me to live is Christ, and to die is gain.” Phil. 1, 21. Although his brothers and sisters were carefully kept away from the sick chamber, he asked to take leave from them all, and his wish was granted. He spoke to them all only of the salvation of the soul through Christ and Savior and of a happy meeting in heaven. And so, although Paul has passed out of this life, his loved ones feel that they have not lost him, but firmly believe that he has merely gone before, and that on that great day he will welcome them in the mansions above. Deceased attained the age of 22 years and 7 days. He leaves his bereaved parents, 4 brothers, 2 sisters, 2 brothers-in-law and one sister-in-law. His one sister, Clara Bernhardt, preceded him in death about a year and a half ago. “Blessed are the dead which die in the Lord from henceforth: Yea, saith the Spirit, that they may rest from their labors; and their works do follow them.” Rev. 14, 13. Funeral services occurred Saturday afternoon at one o’clock from the house, conducted by the pastor, Rev. L.J.F. Going. The sermon was delivered in the church where appropriate anthems were sung. 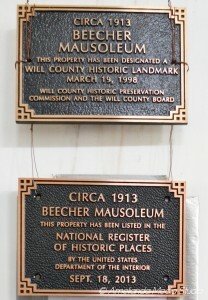 The remains were laid in the Beecher Mausoleum. This entry was posted in Automated Burial Listing, Burial Listing, Burial Location, HEADSTONE, Obituaries- Have Full Copy by Sandra. Bookmark the permalink.